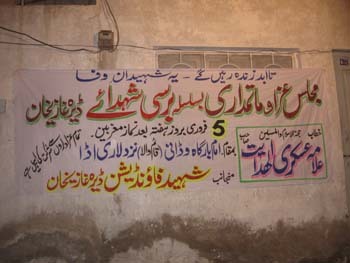 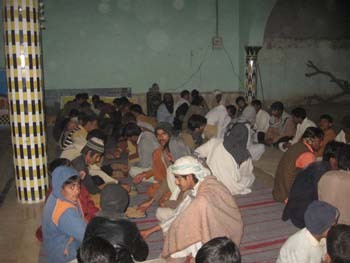 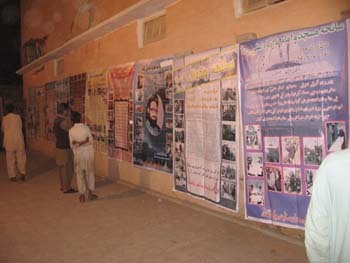 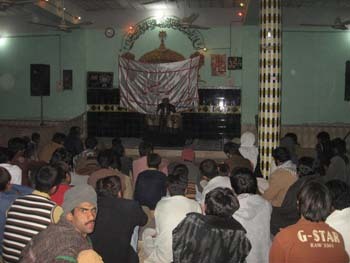 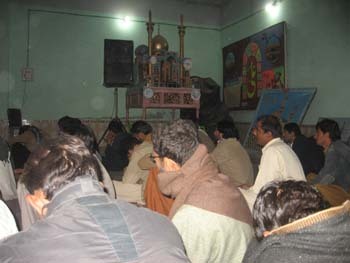 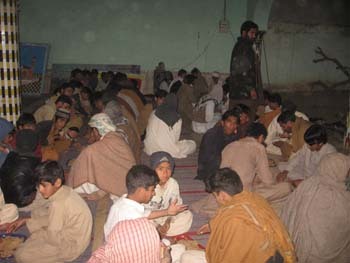 On 6th February 2011 after Namaz-e-Maghrib annual program of Memory of Shohda�s of Dera Ghazi Khan were started at Jama Masjid Gadai, Dera Ghazi Khan, in which Allama Munir Hussain, Khatib-e-Juma of Jama Masjid Gadai was read their speech and appreciate the sacrifice of Shohada�s of Dera Ghazi Khan. 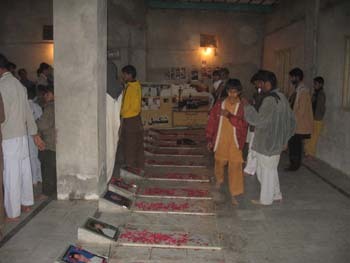 After speach Matmi Sangat of Dera Ghazi Khan recite Noha Khawani and Matam Dari at the Grave of Shohada's. 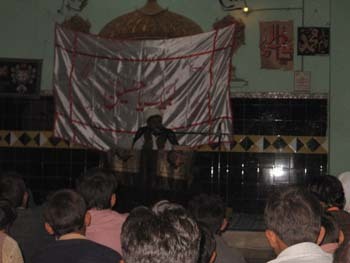 After Nohay Khawani Nazre Imam Hussain(a.s) were distributed to the Momineen. 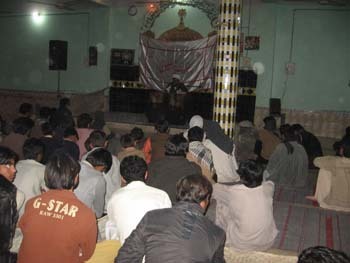 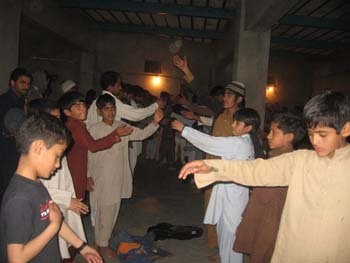 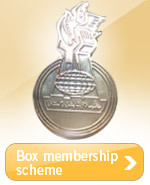 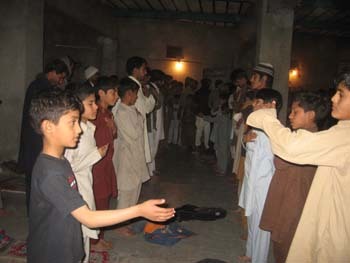 Many of Momineen attended the said annual program. 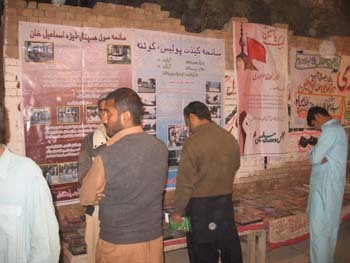 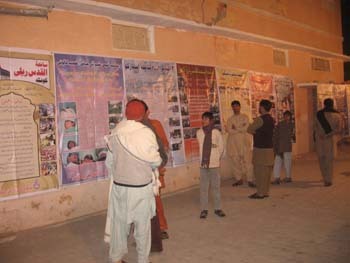 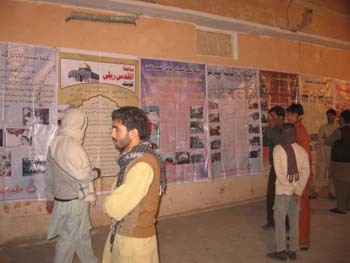 Display Exibition About Tragic Events in Pakistan.